This Friday Jan 5th at T.T.’s! 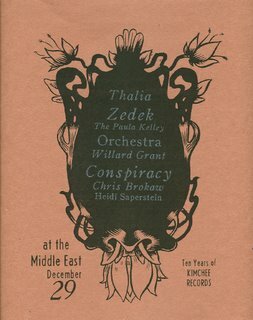 11:00 – 11:30 Cordelia’s Dad reunion (ELECTRIC)! Multiple raffles of the entire Kimchee catalogue (except for a couple sold out titles)! Doors open at 8:30. Music starts at 9:00. Korean food is early (there may be leftovers later, who knows?). 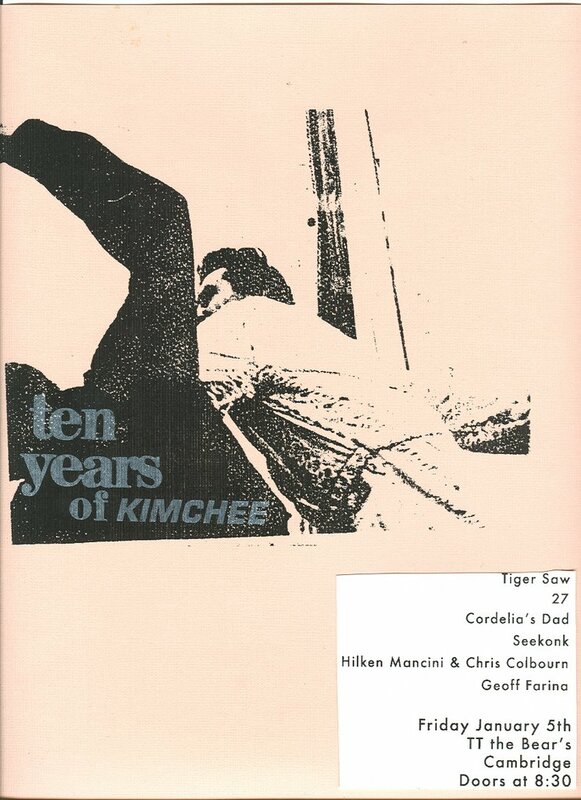 Kimchee catalogue raffles throughout the night! Please come celebrate with us! 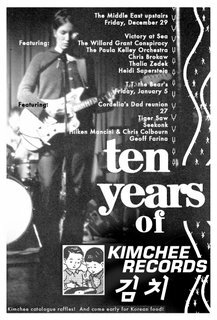 Kimchee 10th Anniversary Shows Update! 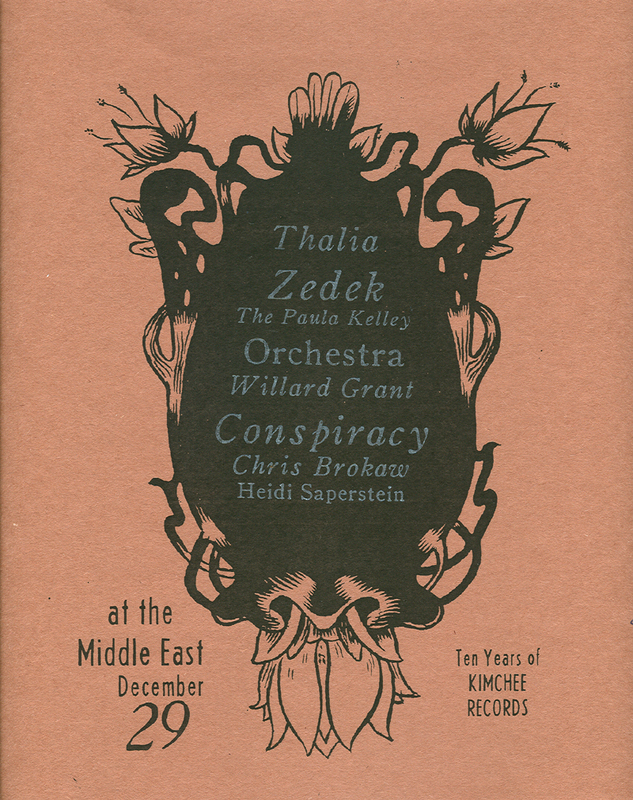 We invite you to administer first aid to your post-holiday spirits with these stellar nights of music by some of the Boston area’s finest acts (which must include Willard Grant Conspiracy and Paula Kelley, homegrown heroes despite their relocations out west!). 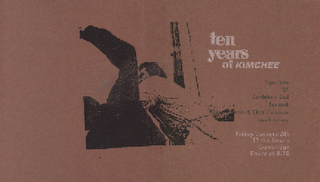 Here are the show times for each act on the two Kimchee 10th Anniversary Shows. 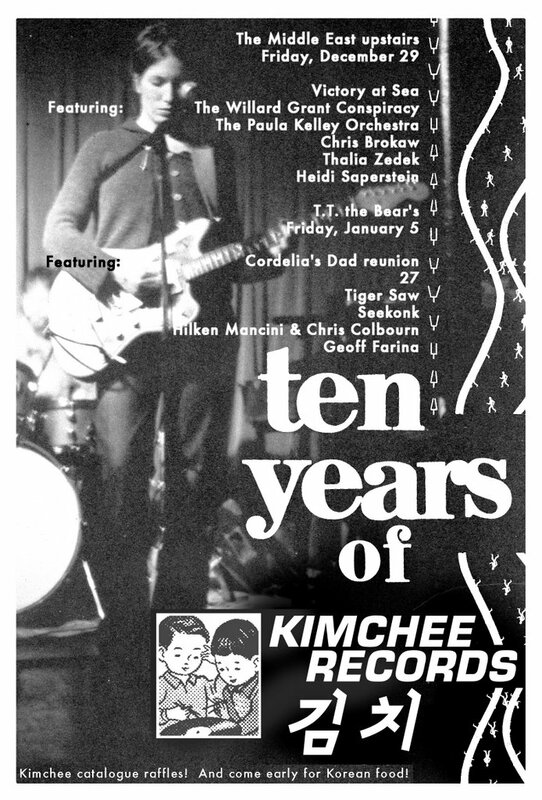 Multiple raffles of the entire Kimchee catalogue (except for a couple sold out titles) each night! 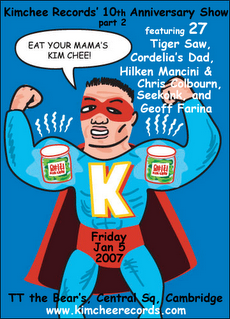 Korean munchies available early in both shows! You won’t want to miss the fun!